In order for Governors Island to continue as a social, historical, and educational resource for New York, we have determined three primary concepts to guide its reuse -- civic, community and partnership. Civic. Its historic resources will reflect past traditions and anticipate future roles. It will provide a symbolic setting to preserve and relate our cultural heritage. It will celebrate urban life and contribute to revitalization efforts to provide a beneficial physical environment. And it will emphasize access to the island as a priority in order for all to experience. Community. Its return to traditional urbanism will demonstrate a preference for articulated urban density. It will invite collaboration, dialogue and participation. 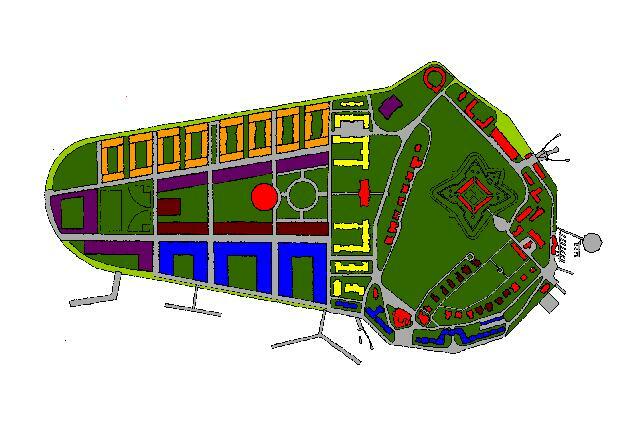 It will value the principles of appropriate setting, pedestrian-scale development, balanced mix, and complexity. And it will be integrated with and reflective of the benefits of city living. Partnership. Its union of private sponsorship and public involvement will contribute to appropriate investment strategies for the purposes of nurturing growth. It will emphasize linkage and affiliation with both local and international resources. And it will provide networks of enterprise and collaboration in its development efforts.